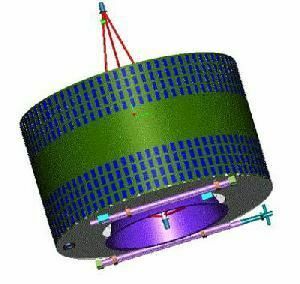 Chinese earth magnetosphere satellite. 2 launches, 2003.12.29 (Tan Ce 1) to 2004.07.25 (Tan Ce 2). Double Star was a joint ESA - China project to supplement ESA's Cluster satellites in characterizing the earth's magnetosphere. Status: Operational 2003. Gross mass: 270 kg (590 lb). The mission would consist of two 270 kg satellites - an 'equatorial' spacecraft (DSP-1) to be launched from Xichang in June 2003, and a 'polar' spacecraft (DSP-2) to be launched from Taiyuan in January 2004. The satellites would be equipped with European-built instruments in a Chinese spacecraft bus. Initial interface tests on the engineering models of the European instruments took place in April 2002. Family: Earth, Magnetosphere sat. Country: China. Launch Vehicles: Chang Zheng 2C. Launch Sites: Taiyuan, Xichang, Xichang LC1. Bibliography: 2, 424, 6456.